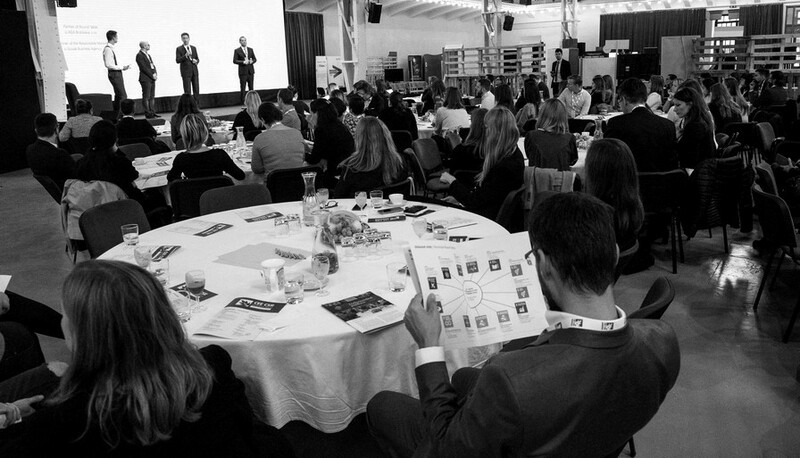 Thank you all who visited this year’s CEE CSR Summit. We’ve been preparing this conference about corporate responsibility for you for 15 years now and we’re pleased to know that your interest in CSR topics is still growing. More than 250 people came to the Summit. With Lukáš Bakoš as the summit’s host, the event included as many as 25 speakers in the main program and the 12 round-table discussions. Of course, the summit was no place for just sitting around passively. Octago prepared a series of simple yet effective exercises that people can do every day right next to their desks. When it comes to topics, attendees could learn more about co-creation with Maarten Pieters, diversity with Barbora Ruščin and Alessandro Lagazio, and work-life balance with Pia Webb. We’ve also presented topics of strategic philanthropy, hoaxes, greenwashing or employing marginalized Roma. The second part of this responsible day gave you the opportunity to try, exchange, and buy products. In the afternoon, the Old Market Hall transformed into the Responsible Marketplace, this year focusing on children. Starting at 3:00 PM, you could visit 23 booths presented by well-known companies as well as small start-ups, with the actress Kristína Tormová hosting this section of the event. Whether you wanted to enjoy a taste of something good, learn more about health and sustainability, or simply have a bit of fun, the marketplace had something for everybody. Especially the little ones enjoyed the concert by Dano Heriban and his band. This year also brought you the opportunity to support sustainable fashion. We prepared a clothing swap in cooperation with NOSENE so that you could give a second chance to nice pieces of clothing by swapping them for others. A total of more than 500 visitors came to the Responsible Marketplace. We hope that you enjoyed it at least as much as we did and you went home full of inspirations and with the motivation to responsibly change the world for the better. We look forward to seeing you next year! In the meantime, you can view the photos of CEE CSR Summit 2018 and the Responsible market here.